Books on Solar, Hydrogen, Fuel Cell, Wind Energy, Biomass Energy, All DIY and How To and More.. Radiation Alarm / Detector / Monitor - Nuke Alert. As Seen in Popular Science. THE FREE SOLAR PANELS BOOK ! The FREE SOLAR PANELS BOOK. I got over 85 Solar PV Panels for Free and I wrote this book to show you how to do the same thing. The book covers Free solar panels Plus solar heating and cooking at your house. Plus explicit details on getting Free Solar Glass and Free 3000F Solar Concentrators for a solar furnace. One of the most unique books ever written on Solar Energy. This book will have you building solar heaters and solar ovens in one afternoon. This is the most hands-on book ever written in the field. Get it today. Also includes, at no extra charge, Surviving the Blackout of 2003. This is the most detialed book on the chemical production of MILLIONS of cubic feet of Hydrogen. This book is on real hydrogen production in volume. Almost every chemical method is shown in this book. It was written for the making of hydrogen for blimps, observation balloons etc...and they take a LOT of hydrogen. Methods include metals and water to electrolysis to complete chemical cycles you've not heard of before. Instant hydrogen from units the French and British used in WWI and more. This is one of the best books ever written on Hydrogen, it proves that some of the best hydrogen experts ever were contemporaries of your grandfathers and great grandfathers. 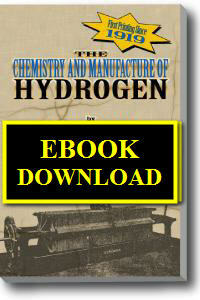 This is the first printing of The Chemistry and Manufacture of Hydrogen since 1919! 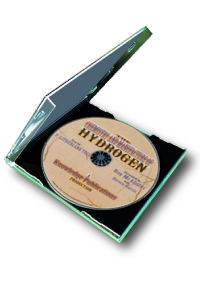 Steven Harris and Roy McAlister made this DVD to walk you through the Ooutstanding Hydrogen book, The Chemistry and Manuacture of Hydrogen. On this DVD they ask and answer every question you would have while reading the book. Steve and Roy cover every major detail of the book step by step and explain it to you in much more details than the excellent book has already done. This DVD is over 3 hours long and compliments this treasure of a book. THIS IS THE EBOOK EDITION, You DOWNLOAD This Book: This is the most detialed book on the chemical production of MILLIONS of cubic feet of Hydrogen. This book is on real hydrogen production in volume. Almost every chemical method is shown in this book. It was written for the making of hydrogen for blimps, observation balloons etc...and they take a LOT of hydrogen. 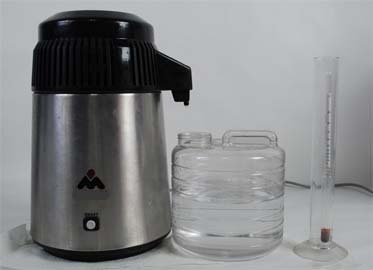 Methods include metals and water to electrolysis to complete chemical cycles you've not heard of before. Instant hydrogen from units the French and British used in WWI and more. This is one of the best books ever written on Hydrogen, it proves that some of the best hydrogen experts ever were contemporaries of your grandfathers and great grandfathers. This is the first printing of The Chemistry and Manufacture of Hydrogen since 1919! WATCH THIS VIDEO ONLINE - Instantly. NO DVD is MAILED with this purchse. Video that do not say ONLINE are DVDs that are MAILED TO YOU. In your RECEIPT from us (not paypal) there will be a link to download a file. That file has a special link that was made just for you, so do not share it. This ONLINE VIDEO is EXACTLY the same as video in the Chemistry and Manufacture of Hydrogen DVD. You can watch it online all you desire. C O M B O _ D E A L....Save. WATCH THIS VIDEO ONLINE - Access to the Video from Webinar 1 & 2. Thats about 6 total hours of online video. STEP by STEP drawings and photographs. This video is all about page 76, from the Chemistry and Manufacture of Hydrogen. It covers the production of hydrogen directly from biomass and air, wood and steam as well as iron and steam. 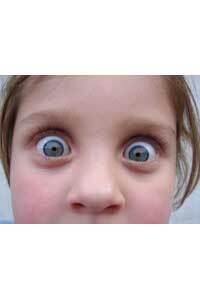 Plenty of webinar partisipants asking the same questions you would ask. There will be a Link to the video in your Receipt. The video is in Adobe Flash format, 720HD RESOLUTION, so EVERYONE should be able to watch it just perfect. A great book by a great man! A Hydrogen World expert and pioneer, Roy McAlister will be known in the history of energy more prominently than Edison. He is an expert who writes, not a writer who thinks he's an expert. The book covers the past, current and future usages of hydrogen. From how it was used in the Civil War to how we will all live in a Solar Hydrogen Civilization and what it will look like. How will we make the hydrogen, how will we store and transport the hydrogen across the world. 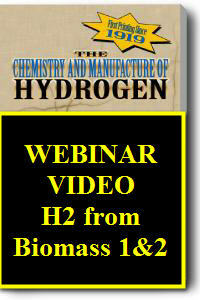 The book covers many methods of making hydrogen and the companion DVD explains those in even more detail. DVD companion to the fantastic book by Roy McAlister and Steven Harris. 3 hours of detailed explanation of the theories, facts and technology found in the book Solar Hydrogen Civilization and many more details that could not be elaborated on in the book. This is the most advanced book we have on the prodction of hydrogen. Electrolysis is covered in explicit detail. The energy required, the voltages, the pressure of the cell and how it affects electrolysis, water qulity and its effect plus membranes and seperator materials. The book covers the thermal decomposition of chemicals and how they break down into hydrogen. Everything oil based or grown in nature can be broken down into hydrogen with simple heat. The book also has one of the most complete sections on ALL of the chemical cycles used and proposed for creating hydrogen. This is not a beginners book, this is an advanced book for those serious on the subject of hydrogen. When N. E. Rambush wrote Modern Gas Producers he set out to describe the specific features of each design which had been built and worked for producer gas production. Accordingly, in many cases this book explains certain special designs, in as much detail as it describes those designs which are far more commonly employed in practice. This great addition to the Hydrogen Generator Gas series contains over 80 valuable tables and over 350 images of useful drawings and diagrams. Run an engine on hydrogen, natural gas, gas, diesel, propane, alcohol, etc. Drive on 75 cents per gallon natural gas. Drive on hydrogen, or hydrogen mixed with other fuels such as alcohol, natural gas, propane, diesel (yes, diesel and H2 in a “gasoline” engine), or turpines. Run on hydrogen and veggie oil, or used French fry oil AND hydrogen in a “gasoline” engine. COMBO: Get ALL of the Hydrogen Books/DVDs Listed Above and SAVE $88.00 ! Did I mention Save over $88.00 ?? Hey... do you remember that famous guy back in the 1970's, 80's that did all of that great stuff for Mother Earth News on alcohol fuel? That's David Blume!, and this is his new book. This is the best book written on alcohol. 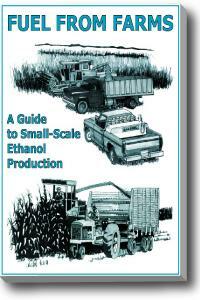 It is so detailed there is even a chapter dedicated to running a diesel engine on alcohol. This is the book from the master of the subject himself. David has devoted most of his life to the perfection of ethanol as a fuel source for all of us. See David Blume give a riveting 2 Hour and 40 minute presentation about alcohol fuel from 2004 in Marin County California. The nation’s first driver owned coop was organized as a result! This professionally filmed talk starts with the amazing history of alcohol as the first auto fuel, and covers a wide range of topics exploding the myths told about alcohol, a primer on how to produce it, car conversion methods, tax credits available, and much more. Every Single Way of Making Alcohol on an Industrial Scale—or small scale. Topics on fermentation, organisms, source material, mashes, crops to use, yield, formulas, distillation, byproducts, heat measurement, usage in engines and much more. 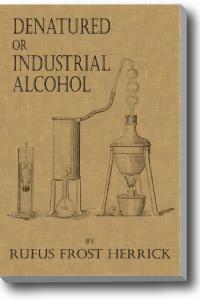 The book covers the usage of alcohol for cooking, heating and illumination, just to name a few. It even has details on converting sawdust and other organic material to a form that can be digested by alcohol yeasts to make ethyl alcohol. The FREE SOLAR PANELS BOOK. I got over 85 Solar PV Panels for Free and I wrote this book to show you how to do the same thing. The book covers Free solar panels Plus solar heating and cooking at your house. Plus explicit details on getting Free Solar Glass and Free 3000F Solar Concentrators for a solar furance. One of the most unique books ever written on Solar Energy. This book will have you building solar heaters and solar ovens in one afternoon. This is the most hands-on book ever written in the field. Get it today. Also includes, at no extra charge, Surviving the Blackout of 2003. Incredibly detailed information on how to make any type of solar air heater. It covers all of the rules of thumb, the materials, where to get them and much more. 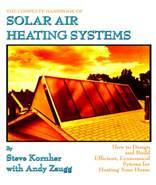 Whether you’re a homeowner or a contractor, this book has everything that you need to know about the construction and operation of all types of solar air heaters for space and domestic water heating. If you’re looking for one book that will get you into “hot air,” this is the one! With easy construction plans for easy insulated curtains, a huge variety of panels that you can put inside your windows, outside, and fold up/down and much more. From an extraordinarily talented author, this 379 page book is an absolute must have for any homeowner that wants to stop heat loss now! This book contains everything you need to know about building a wind mill or a wind motor at home or on the farm. This is a detailed hands on construction manual for the motor, blades, tower, control circuits and much more. Incredibly illustrated with drawings and photographs. The book has explicit details on tower construction and tower erecting. Make sure you see the companion book called Wind and Windspinners. Contains everything you need to know about building Savonius rotor (S - Rotor) wind generator. The S-Rotor is easier to construct than a standard windmill since your generator is at the base of the tower (or the top) and is not turning around in different directions as the wind blows. This is a detailed hands-on construction manual for the complete system including the batteries, tower, control relays and the actual rotor itself. Written by the guru Michael Hackleman in 1977. Michael had a bunch of new old stock of these books, never touched by the hands of anyone, and he asked us if we could sell these copies while he was doing updates for a new edition to be released in a year or so. So if you'd like an original piece of history that you can use today to start your electric vehicle project then get this book. This book is very hands-on! How to build a windmill or wind motor the old fashioned way, just like the old ones you see on the farm. This book shows you how to build the frame, tower, blades and how to hook up an electric generator, all exactly as it was done in the early 1900's. This book will enable you to understand how to make biogas at the farm or family level. Covers: Biogas, what it is; how it is made; how to use it begins with a complete introduction to biogas including materials, testing and the high quality ferilizer it produces. This book covers the making of biogas in something as simple as a 55 gallon drum and it covers the storage of it in items as simple as a drum inverted in water or in innertubes. This is a hands on DIY book with lots of drawings and pictures. I have had students win 1st place in science fairs with this book. Biogas 3: How the Chineese Make Biogas. This book contains the ways that the Chinese perfected the process of making methane from manure and plant waste. The manual shows you how to dig a hole, make a brick or earth wall and then cover it for continuous production of free methane from the digesting material. This is a very low maintenance system and the Chinese had over 6 million bio digesters, like this model, working in the late 70’s/early 80’s. This is one beautiful system that you can build in your own backyard or farm and it will provide continous biogas for cooking, lighting and heating. Every Single Book you see above on this site. 68 items total. Books, DVDs, and the stove. Free USA Shipping. International shipping: After you purchase, we'll write you and tell you how much it is and we'll charge the amount. Everytime we add new books / items, we change this combo to reflect the new books and new purchase price.